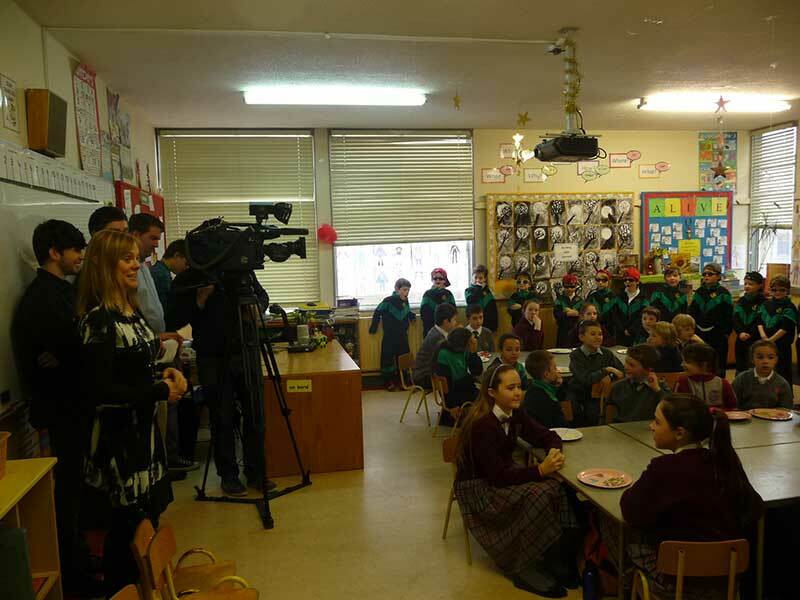 The boys in Ms. Durkan’s class were the stars of the day when they performed their rap for the RTE News. This was part of the Portion Wise Week being run by PortionWise.net and in conjunction with the schools in the area. Pupils from the Presentation Primary and St. Pius X, Horizons Montessori and Terenure College also attended. News2Day PortionWise from St. Joseph's BNS on Vimeo.